Entrepreneurship education is one of the strategic areas for promoting entrepreneurship within Europe. The partnership, in preparing the present proposal, identified other projects related to entrepreneurship games, which establishes the methodology in the field, but these previous projects targeted upper secondary or university students. The partnership feels that Entrepreneurship mindsets can be promoted earlier in education. In primary education entrepreneurship skills are seen as transversal and are to be developed across all subjects and reference is seen to entrepreneurship education in about 2/3 of European countries. In lower secondary, many more European countries make explicit reference to entrepreneurship education in their steering documents than they do at primary level. The transversal approach to entrepreneurship education, in addition to the integration within other subjects is still widespread (Eurydice, 2012). 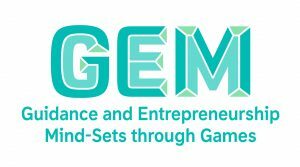 The GEM game will offer a tool for teachers looking for an entrepreneurship education activity for their students and the GEM game offers an innovative, ICT solution. The need for innovative guidance actions at the earliest levels of education is clear for the partnership after a previous Comenius project, Widening the Future, analyzed and tested guidance actions within Primary school and detected many needs. The creation of an entrepreneurship game is also complementary to the ICT learning and guidance tools that the partners have already developed and use with students. The Guidance and Entrepreneurship Mindsets project is innovative in that it will develop a educational, online, entrepreneurship game for primary and lower secondary students. It will also conduct a study of the impact of the GEM game, and therefore measure the change in entrepreneurship mindsets among students. It will also support professional development of teachers and guidance practitioners in entrepreneurship education, through the GEM manual and the online training module.  The GEM project seeks to foster the assessment of transversal and entrepreneurship skills of students through an innovative, ICTbased guidance game. The project will design, create and test a multilingual game that helps guide students through transition periods and fosters entrepreneurship mind-sets and skills. According the Entrepreneurship 2020 Action Plan of the European Commission, educational learning, both in quantity and quality should be increased (2013). Young people benefit from entrepreneurial learning, whether or not they become entrepreneurs themselves, because it develops important transversals skills and mindsets such as creativity, teamwork or responsibility (EC, 2013). These entrepreneurial skills improve employability. Fostering and developing these skills from primary school promotes an entrepreneurial mindset and creates a foundation of skills that support both entrepreneurship and employability. Games are beneficial and foster skill development and therefore a quality format for learning and promoting entrepreneurship mindsets.